Promoting an ethical environment in business and investing in training people are two of the great challenges of our time. An increasingly integrated world, with ever more advanced technologies, requires that any organization stand for transparency, tolerance for diversity, and respect for differences, companies, and people. Madrona Advogados was launched with that spirit. With a focus on corporate law, mergers and acquisitions, capital markets, financial law, and infrastructure, in addition to a strong performance in tax, real estate, civil litigation, and labor law, our motivation is to understand our time, invest in people, and work so that our clients reach their goals, always with ethics and responsibility. With a team of more than ninety legal professionals with great experience and recommended by several national and international publications, the members of Madrona Advogados are aligned with the principles and objectives that we set out to achieve. 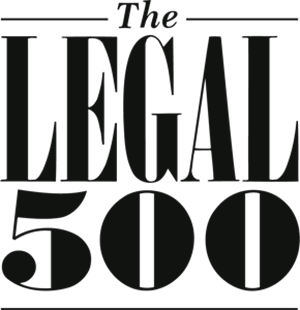 We want to be among the most admired firms and seek to be a reference to our peers, associates, and employees. Our greatest challenge is to grow sustainably, keeping our focus on our team’s high technical quality and ethical standards – provide our clients with excellent service is the outcome. Ricardo works on mergers and acquisitions, corporate law, contracts, succession and estate planning, and arbitration. 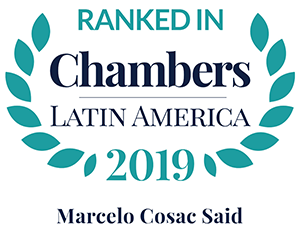 He is on the list of arbitrators of the Arbitration Chambers of Fundação Getúlio Vargas (FGV) and of the Federation of Industries of the State of Paraná, and acts as arbitrator in the Arbitration Chamber of the Federation of Industries of the State of São Paulo. He teaches Mergers and Acquisitions in GVLaw’s Graduate Program and in the GVLaw’s Global Law Program. He is a former MBA professor at Fipecafi – in connection with IBRI – teaching Corporate Law and Capital Markets Law between 2001 and 2011. 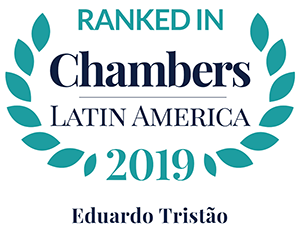 Ricardo is member of the Brazilian Chamber of Arbitration and member of the Brazilian Institute of Investor Relations. José Luis practices in the real estate and corporate areas. In the corporate practice, he works on mergers and acquisitions, corporate reorganizations, and joint ventures, providing legal services to companies operating in various sectors of the economy, especially the service industry, technology, telecommunications, private equity, and energy. He has extensive experience in real estate, advising clients in all real estate matters, such as purchase, sale, lease, build-to-suit, and acquisition of rural property, among others. Juliano is an expert in tax law and has outstanding performance in the area of tax consulting, with emphasis on tax planning and corporate restructuring. His experience includes over five years working for one of the Big Four auditing firms, where he actively worked on tax planning, privatization, and corporate restructuring, as well as financial operations and capital markets. His practice includes administrative tax litigation and succession and estate planning. 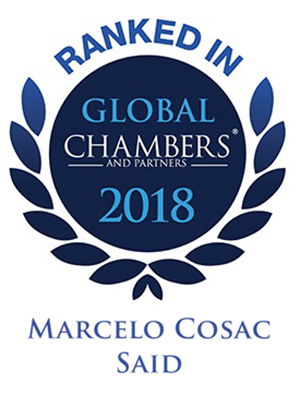 Tax attorney with strong practice experience in federal fiscal administrative litigation (Tax Appeals Federal Council of the Ministry of Finance), acting on behalf of large domestic and foreign companies, as well as in tax consultancy, having implemented tax planning structures for individual and corporate taxpayers, and wealth and estate planning & succession structures for families doing business in Brazil and abroad. Madrona Advogados’ associate Igor Nascimento de Souza “is a widely respected tax adviser who draws praise for his extensive experience advising on international and domestic taxation issues.” Who’s Who Legal (2017). Rosane has extensive experience in structuring infrastructure projects in connection with concessions and public-private partnerships (PPPs) in the sanitation, urban mobility, and health sectors, among others. She was responsible for the implementation of the first PPP project in the area of sanitation in the State of São Paulo in 2007. Since then, she has advised several clients on the structuring and legal modeling of public services, administrative contracts, participation in bidding processes, structuring of guarantees, and regulated sectors. Cosac specializes in domestic and cross-border financing, securitization, project finance, investment fund formation and capitalization and other investment vehicles, private equity, venture capital and joint ventures. He focuses his practice in Financing, Banking, Project Finance and Capital Market in a number of industries, such as real estate, banking, services, manufacturing and agribusiness. He represents lenders, underwriters, asset management companies, issuers and borrowers. Cosac teaches Structured Operations in the Financial and Capital Markets as part of Fundação Getúlio Vargas’ Real Estate Financing course and, at Secovi he teaches Capital Markets. He is a member of SECOVI’s Advisory Committee on Real Estate Financial Products. Milena has worked extensively on corporate operations, contract negotiations, mergers and acquisitions transactions, corporate restructuring, compliance, succession and estate planning, corporate governance issues, establishment of joint ventures operating in national and international commercial transactions, as well as transactions regulated by the Central Bank of Brazil. Danilo advises domestic and foreign clients on mergers and acquisitions in Brazil, partnership agreements, shareholders’ agreements, corporate restructuring, foreign investment in Brazil, incorporation of companies, corporate governance issues, competition and antitrust issues, succession and estate planning, and business and commercial contracts negotiations. João advises clients on litigation, arbitration and administrative litigation related to business law. He represents clients in litigation procedures in matters brought to litigation in court, in arbitration chambers or in regulatory agencies and various public administration entities. He has represented domestic and foreign clients in matters in civil, business, administrative, and public law. 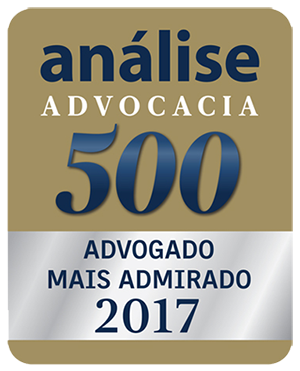 João is member of the Brazilian Chamber of Arbitration. Tristão has outstanding performance in corporate real estate transactions, focusing on contracts and corporate law. He actively participates in real estate transactions for direct purchase and sale of urban and rural real estate properties, advising individuals, legal entities, investment funds and equity funds. He also advises clients on fundraising for real estate development, and is responsible for conducting structured multidisciplinary transactions for direct or indirect real estate financing. Nair specializes in corporate governance, corporate consulting, joint ventures, M&A, sales of companies and global public offerings of shares. She assisted Brazilian and foreign companies, financial institutions and institutional investors in several corporate and capital market transactions, in Brazil and abroad, including M&A deals, private equity funds, global public offering of shares of Brazilian companies, preparation of companies for IPO through restructuring, improvement of corporate governance practices and execution of or amendments to shareholders’ agreements. She acted as international associate of the capital market´s team at Simpson Thacher & Bartlett LLP, New York (2007). Nair has been recommended by Chambers and Partners, from in 2015 to 2018, as one of the main lawyers in the Capital Market, in Brazil. 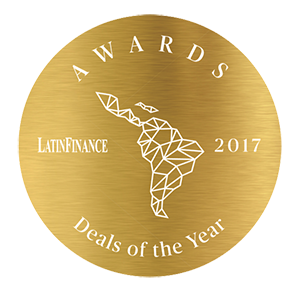 She participated in the deal that won the “Deals of the Year” award given by “Latin Finance”, in the “Restructuring” category, in 2017. 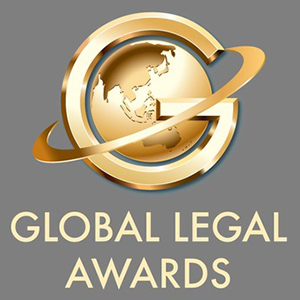 She participated in the transaction that won the “Global Legal Awards” given by American Lawyer, in the “Global Finance Deal of the Year” category in 2014. She participated in the transaction that won the “Infrastructure Finance Awards” given by “Latin Finance” in the “Best Infrastructure Financing” and “Best Oil & Gas Financing” categories for Brazil, in 2014. Postgraduate diploma in Contract Review from Georgetown University and an LL.B. from Universidade Presbiteriana Mackenzie. Luciana advises clients on the acquisition and sale of companies, corporate restructuring, foreign investment in Brazil, corporate governance issues, guidance on general meetings (Shareholders and Board of Directors), and negotiation of commercial agreements in general. She also works on intellectual property rights, advising companies in the technology, internet, entertainment, and advertising sectors, as well as advising clients on establishing franchises. Postgraduate diplomas in Labor Law (from Fundação Getúlio Vargas) and Civil Procedural Law (from Faculdades Metropolitanas Unidas), and an LL.B. also from Faculdades Metropolitanas Unidas. She has outstanding experience in the litigation and consulting areas. She works on the conduct and supervision of judicial and extrajudicial proceedings, having worked on cases involving business and corporate law. She also works on due diligence for acquisitions, sales and mergers of companies in various sectors, as well as bidding processes and incorporation of companies. She also advises Human Resources and Personnel Departments on labor law matters. Master from École des Hautes Études en Sciences Sociales and an LL.B. from Universidade Federal de Ouro Preto. Rodrigo advises companies operating in regulated sectors, especially in the Electricity Sector and Natural Gas. He advises them in power generation and transmission structuring, including full advisory in Power Auctions, Transmission Auctions, grant proceedings (concession, authorization and registration. He participates in drafting and negotiating contracts that are common in these sectors, such as EPC, O&M, and PPA. He acts in administrative proceedings before ANEEL – National Agency of Electric Power. He provides regulatory advisory services to clients with respect to ANEEL’s acts, CCEE’s Commercialization Rules and Procedures, network procedures and relevant regulatory acts. He has experience in privatizations, corporate transactions involving concessionaires and authorized companies, previous authorization procedures for transfer of control. He also acts in general matters of Public and Administrative Law. 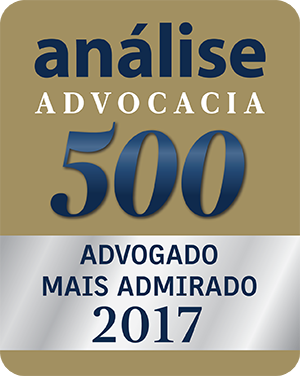 Rodrigo Machado appeared as one of the most admired attorneys in Regulatory in 2017 and 2018, and in Energy in 2015, 2016 and 2017, and was one the most admired lawyers by the State of São Paulo in 2017. Agribusiness in Brazil plays an important role in the country’s economy, representing a significant portion of the national GDP. Legal relations involving the sector, both in consulting and litigation spheres, have grown in recent years, gaining complexity and magnitude. Madrona Advogados has a specialized and highly experienced team qualified to attend to and understand our clients’ demands. Considering the breadth and complexity of issues surrounding agribusiness, our team provides integrated legal advice with other related practice areas to deliver efficient solutions to our clients. Our team provides legal advice on the production, commercialization, and financing stages of agricultural and farming products, working with financial institutions, investment funds, trading companies, and agro-industrial companies. 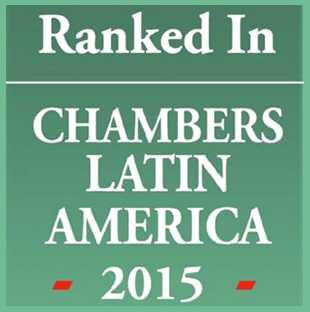 Free competition is the general principle of economic activity in Brazilian law. Understanding the competition and antitrust regulation and their impact on the company’s activities are essential in today’s corporate world. Madrona Advogados knows this and applies its multidisciplinary expertise in the various areas of competition and antitrust law, representing companies in processes seeking the approval of acts of economic concentration, in the preparation and implementation of antitrust compliance programs, advising on matters of competition and antitrust law, trade practices, economic concentration operations, and investigations of anticompetitive conduct. 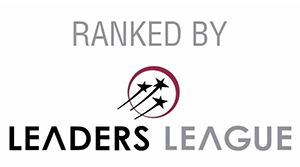 Madrona Advogados’ lawyers are recognized in the market for our expertise in the financial sector. Our team advises financial institutions, investors, sponsors, and financial advisors in securitization transactions, finance structuring, internal and external loans, bilateral and syndicated loans, prepayment of export operations, equipment and aircraft leases. Advice on regulation of derivative instruments and on reviewing documents of derivative transactions. With a team with extensive experience in capital markets, Madrona Advogados offers a wide range of legal services designed both for capital market agents (banks, asset managers, funds, and other institutions) and issuers. The development of Brazil’s capital market requires professionals aligned with best practices, international experience, and comprehensive knowledge of the economy and business. Our firm has partnerships with foreign firms, working together in cross-border transactions. 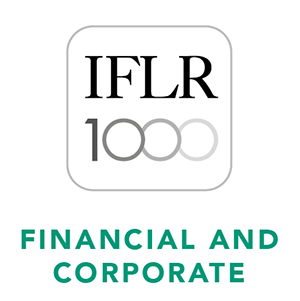 In the regulatory field, our firm provides advice on issues related to compliance with requirements arising from regulations applicable to investment funds, financial institutions, and other market participants, including the observance of legal obligations established by the Central Bank, CVM, and other regulatory bodies. Madrona Advogados’ Civil Litigation practice works on various forms of conflict resolution, as well as pre-litigation situations. Our team works closely with other areas in the review and preparation of contractual instruments and structuring of guarantees, aimed at safeguarding our clients in future litigation disputes. Further on litigation consulting, we review and advise on risk prognosis of potential claims, liability assessment through due diligence in mergers and acquisitions, purchase of credit portfolios, and other operations, as well as preparing legal opinion on the application of civil and civil procedure law in national and international contracts. We are also active in the pre-litigation stage through negotiations and other measures to prevent controversies. During litigation proceedings, Madrona Advogados represents our clients in all stages before the courts, regulatory agencies, and various public administration bodies depending on the nature of the claim. We represent domestic and foreign clients in disputes in various areas of civil, business, administrative, and public law. Among the main disputes in which our lawyers have worked are complex issues that are strategically important to our clients. Over the years, we have argued cases regarding the validity, revision, and enforcement of contracts in general, civil liability, corporate disputes, consumer relations, and challenges to acts in bidding processes, among others. We routinely work for clients in the banking, construction, energy, franchise, pharmaceutical, real estate, industrial, infrastructure, logistics, and mining sectors, among others. In Brazil, this topic has gained greater prominence since the enactment of the Anti-corruption Law in 2013, which brought additional provisions to the legislation then in force. The Compliance team at Madrona Advogados recognizes how important a proper compliance program is to conducting business. Our team is formed by a multidisciplinary group with experience developing and implementing such programs, as well as other mechanisms for the prevention and investigation of acts that are harmful to Brazilian and foreign governments, and violations of internal regulations of companies and multinational groups. In the context of M&A transactions, the Compliance team works together with other practice areas with the goal of identifying possible contingencies related to irregularities committed by the parties involved and/or their employees, always seeking to provide complete and effective legal advice to clients. Madrona Advogados assists in the preparation, review, and negotiation of contracts of all types, including commercial representation contracts, business partnership agreements, purchase and sale of goods, and service agreements, among others. We work with domestic and foreign clients of all sizes and market segments. Our firm advises on contractual matters, issuing legal opinions and assisting our clients in managing their contracts. Our team works together with the litigation practice to assess whether any disputes might arise from any contract, advising our clients about risks and the impact of potential judicial or arbitration disputes. Madrona Advogados specializes in offering legal advice to domestic and foreign clients in the day-to-day management of their business. The firm has experience in various market segments and assists individuals and legal entities of all sizes. The firm represents its clients in the incorporation of companies, amendment of corporate documents, participation in general meetings of listed and closed companies. We also represent them before the Brazilian Securities and Exchange Commission and B3, among other regulatory bodies, whether in administrative proceedings, preparation of answers to official letters, and implementation of litigation prevention practices. Madrona Advogados issues opinions on corporate law matters. We assist in asset structuring for individuals and family-controlled companies, including providing advice on asset protection and succession planning. The firm advises its clients in structuring investment vehicles, seeking to reduce the risk involved in each project and maximize the benefits and viability of the business. The expertise developed by working on complex projects for large companies allows us to develop creative solutions that can also be used by individuals and family businesses. Madrona Advogados’ corporate team has extensive experience in good corporate governance practices tailored to each client’s profile. Through the development of governance programs (with professionalization of management, creation of oversight bodies, and development of internal skills), our team assists in the preservation of values and optimizes integration and communication between management and investors. Maintaining good governance practices and professionalized teams has proven to be an important component for a company’s competitiveness and management. Our team is highly qualified to assist our clients in this endeavor. Madrona Advogados represents creditors in bankruptcy proceedings, judicial and extrajudicial recovery, and providing advice on different aspects of the Bankruptcy and Corporate Reorganization Law. We defend creditors’ interests and work on debt recovery in various types of judicial collection procedures and extrajudicial execution of guarantees, as well as extrajudicial recovery, judicial reorganization, and bankruptcy proceedings. Our firm provides full assistance for the acquisition of assets of companies in financial difficulty, in judicial recovery, or from bankruptcy proceedings. We assist with risk assessment, drafting contracts, negotiation and modeling of the operation. We advise suppliers, service providers, financial institutions, and investors, as well as assist with financing to companies in difficulty. Our team members are able to advise on credit recovery, application and other aspects of the Bankruptcy and Corporate Recovery Law, covering topics such as the strength of guarantees, fraud against creditors, execution, succession, characterization of economic group, piercing of the corporate veil, disposal of assets, credits included and excluded from judicial reorganization, and validity and formalization of new guarantees. The Power and Oil and Gas sectors are among the most complex of the economy, both for their inherent dynamism and for the high degree of state regulation. 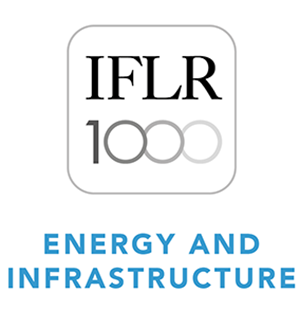 Legal counsel on Energy requires a high level of professional specialization, with a team who must master the different contractual, legal, and regulatory aspects and particularities of various activities related to these sectors. Mindful of this, Madrona Advogados’ Energy team seeks continuous improvement and constantly monitors the most relevant topics of the Energy sector. Working together with the other practice areas of our firm, our team provides the most complete and targeted solutions to the sector agents’ business. Brazil has strong institutions and laws for the protection of the environment, placing us in a leading global position in sustainable development. Aware of this, we are prepared to assist our clients in various environmental law issues, allowing them to develop their business in full compliance with the standards and other obligations to which they are subject. Our team is concerned with developing effective solutions to adapt our clients’ businesses to environmental requirements. Our experience ranges from advising on environmental regulations applicable to each activity to representing our clients before federal, state, and municipal environmental agencies and entities. Our team has extensive experience and knowledge of environmental regulations, which allow us to devote the highest level of commitment and attention to clients’ interests. We seek to assist our clients in a comprehensive manner, fully customized to the particularities of their relationships with the government and public administration in general (whether at the federal, state, or municipal level), as well as in operations in regulated environments. Madrona Advogados’ Infrastructure, Regulatory and Public Law team has extensive experience in structuring infrastructure projects and representing and advising clients on their participation in bidding processes and contracts with the government. We also represent our clients before administration bodies and entities, including regulatory agencies and Audit Courts, in addition to providing advice on various topics related to public law and regulated industries. Our team stands out in its continued attention to the different legal, political, and economic environments of each infrastructure sector, with a deep knowledge of the changes taking place in Brazil and the world for a precise understanding of our clients’ needs. With this expertise, we develop complete and appropriate solutions that add value to business development in all activities that rely on state intervention or participation. We understand the complexity of issues and disciplines involving infrastructure and regulated sectors. Our team seeks a comprehensive approach that is not only limited to the law, ensuring that our professionals have a deep understanding of the particular functioning and demands of each sector. We encourage our team’s academic and scientific activities, promoting the publication of research, articles, booklets, and miscellaneous materials related to the sectors in which we operate. Our team is also prepared to deliver customized courses to our clients or speak at various events. Since the enactment of the Intellectual Property Law in 1996, Brazil has an adequate legal framework for the protection of intellectual property rights. With the new release of the Brazilian Civil-Rights based Framework for Internet, the sector further aligned itself with international best practices. The necessity of this area for the development of industry and technology in the country is increasingly recognized. 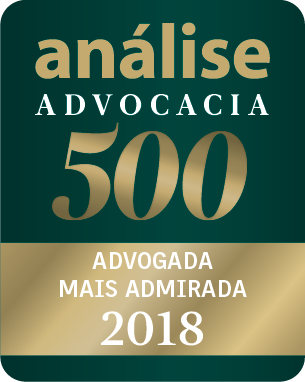 Aware of the importance of this area, the professionals of Madrona Advogados offer customized solutions to clients, ensuring measures for the protection and expansion of their businesses. We work in all areas related to the protection of intellectual property rights, drafting and negotiation of contracts, consulting, and due diligence exercises. Also with regard to the peculiarities of this area, professionals in the intellectual property team of Madrona Advogados follow closely the changes in the industry, attending courses and lectures. With a deep understanding of our clients’ needs, Madrona Advogados assists in the resolution of everyday occurrences, maintaining a close relationship with personnel and/or human resources departments in drafting contracts, notices and policies, as well as in the conducting of administrative and judicial defenses. Our firm’s professionals are concerned with training and keeping updated through specialization courses, participation in events, workshops and study groups, in addition to the publication of articles. The labor team acts in a coordinated manner with other practices for a comprehensive understanding of the business, characteristics, and demands of each client. Representation before the Ministry of Labor and employment and/or the Labor Prosecutor’s Office and their agencies in the event of inspections and provision of information. Since its formalization, through Law No. 9,307/96, arbitration is gaining space in Brazil as a mechanism for conflict resolution. Madrona Advogados’ Mediation and Arbitration practice works on conflict resolution in arbitration disputes, and other negotiated situations, under the different regulations of the main national and international arbitration chambers. Our firm is associated with the Brazilian Arbitration Committee, and partner Ricardo Madrona acts as arbitrator at the FGV Conciliation and Arbitration Chamber and at the Chamber of Arbitration and Mediation of the Federation of Industries of the State of Paraná – FIEP. Representing domestic and foreign clients in solving disputes before different arbitration chambers and in different arbitration matters (reorganizations, construction projects and infrastructure, energy, mining, contractual disputes, among others). Madrona Advogados’ experienced team advises on a wide range of structures used for M&A transactions, such as joint ventures, partial or total purchase or sale of shares/quotas, asset purchase, structuring of greenfield or brownfield projects, consortia or special partnerships, management buyouts, and leveraged buyouts, among other possible models used to best achieve our clients’ goals. Our clients, national and foreign, come from many backgrounds, such as strategic investors, family businesses, private equity funds, venture capitalists, etc. Our work begins in the first negotiations between parties, helping to structure the operation and draft the initial documents, and extends through the due diligence process and negotiation and formalization of the final agreements. 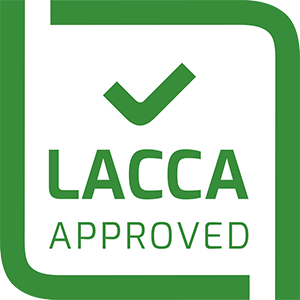 We assist our clients in obtaining the necessary approvals to finalize the transaction, especially by CADE and regulatory agencies (such as ANEEL and ANATEL, among others). We also assist our clients in determining the tax burden resulting from the transaction. Simply knowing the law is not enough to properly assist our clients. It is also important to understand the business at the core of the transaction, the market in which it is embedded, its characteristics, and issues faced (such as liabilities and contingencies that may hinder the closing of a transaction or reduce its value; client needs; and related areas, particularly accounting and financing aspects). With this vision, we have invested in training our professionals. We encourage and sponsor training courses, specialization, and pursuing master’s and doctoral degrees, in Brazil and abroad. Similarly, we encourage participation in events, workshops, and study groups, as well as publishing academic books and articles. Madrona Advogados’ Capital Markets, Finance, and Infrastructure teams combine their experiences in advising the structuring, negotiation, and implementation of financing operations for industrial and infrastructure projects in various sectors, including energy (power and oil and gas), telecommunications, mining, roads, ports and airports, sanitation, among others. Our firm acts as advisor to sponsors, financial institutions, multilateral agencies, builders, and suppliers, relying on a multidisciplinary team that analyzes all regulatory, corporate, contractual, insurance, financial, tax, and environmental aspects of a project. Our clients include the world’s largest financial institutions, multilateral agencies, development banks, and export credit agencies (ECAs), as well as entrepreneurs, sponsors, offtakers and construction companies active in this market. Our extensive knowledge of regulated sectors and various debt instruments enable us to offer legal assistance that is extremely effective in structuring the intended operation. Madrona Advogados has followed the evolution of Brazilian real estate law, relying on a team of professionals focused on and able to provide legal advice on various aspects of the real estate business. Our team is dedicated to understanding our clients’ goals and expectations so that they can develop the tailored and efficient strategies that real estate projects demand. Madrona Advogados’ real estate practice works on both urban and rural real estate transactions. In addition to legal counsel on issues involving real estate law, our firm has extensive experience in supporting other legal areas advising business, such as mergers and acquisitions, corporate restructuring, capital markets, finance, and tax, including the participation in complex due diligence exercises and assistance in structuring the transaction vis-à-vis their regulatory and fiscal aspects. Madrona Advogados offers advice on real estate issues related to infrastructure projects, such as the installation and investments in ports (TUPs and public ports), power plant construction, expropriation and easements, and tax pertaining to the real estate property. Succession and estate planning are important tools for families to organize asset division, establish rules for the continuity of the family business, and determine corporate governance parameters. We see today a very active market for these projects, where business owners have been concerned with planning their succession. Madrona Advogados helps families in the execution and implementation of their succession and estate planning, organizing discussions with the heads of the family, heirs, and company executives, seeking to understand their interests, aspirations, and how these fit within the business itself. Each client is different and deserves unique treatment. Taxation in Brazil is today largely responsible for the success or failure of a business and, therefore, one of the main focuses of attention of the business sector. In addition to being extremely complex, taxation is dynamic and reaches all levels of business, people and organizations even beyond our borders. We have highly skilled professionals in various areas of tax law, on both the consulting (direct and indirect taxes) and litigation (judicial and administrative) sides. The solution to a problem in the fiscal area requires the ability to think broadly and, in the current economic context, that should be in sync with the efficiency and rationalization of resources. Our firm maintains a close relationship with our clients, who rely on our services, technical expertise, ability to understand their businesses, and – most importantly – because they know that our work is marked by the ethics and respect with which we approach each case. Our motivation is to understand the times we live in so that our clients reach their goals with transparency, ethics and responsibility. We believe in the value of diversity and we respect differences in the business environment. We invest in education, so that new skills may be developed in a world with technology that never stops advancing and that requires organizations to set themselves apart. All of this is in our WE CARE philosophy: people do matter to us. If you identify with our principles and goals, apply for an opportunity to work with us!